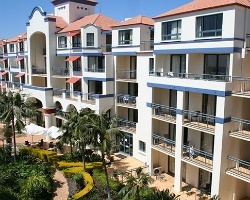 Located on Australia's fabulous Gold Coast, Calypso Plaza on Coolangatta overlooks beautiful Coolangatta - Greenmount beach. You can walk to coffee shops, cinemas, fashion boutiques and licensed clubs. Coolangatta airport is only 10 minutes away, Jupiters Casino is just 35 minutes away to the north, and there is a selection of golf courses within a 10 minute drive. Less than an hour away are Seaworld, Dreamworld and Movieworld. Annual floating week! RTU until 2054! Buyer May Receive A Title Fee Credit, Inquire For Details! Enjoy any week you desire! RTU in perpetuity! Buyer May Receive A Title Fee Credit, Inquire For Details! Suites have all the comforts of home! RTU in perpetuity! Buyer May Receive A Title Fee Credit, Inquire For Details! Located on Australia's Gold Coast! RTU until 2059! Buyer may receive a title fee credit, inquire for details! Come to Australia's famous Gold Coast! Many activities within walking distance for all ages! Annual floating week! Inquire for details!